"Radius" built by highly acclaimed developer, Ledingham McAllister. 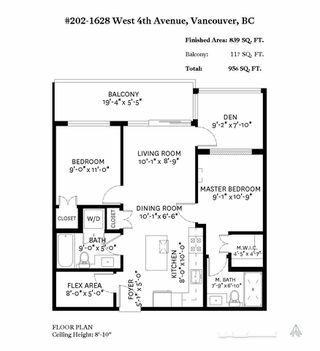 This gorgeous 2 bedroom+den AND flex, 2 bathroom home has been kept in immaculate condition - you would think you're buying brand new! 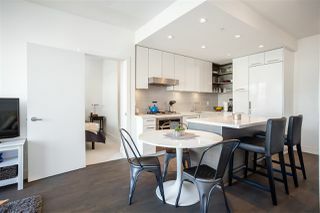 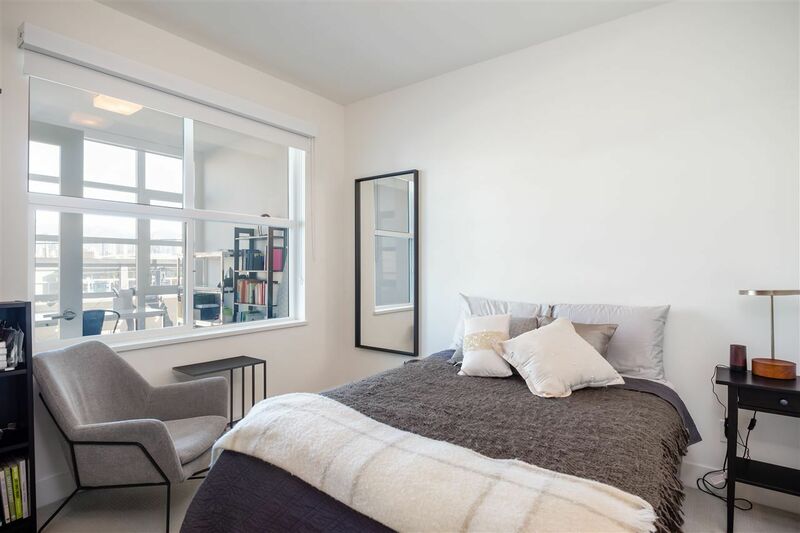 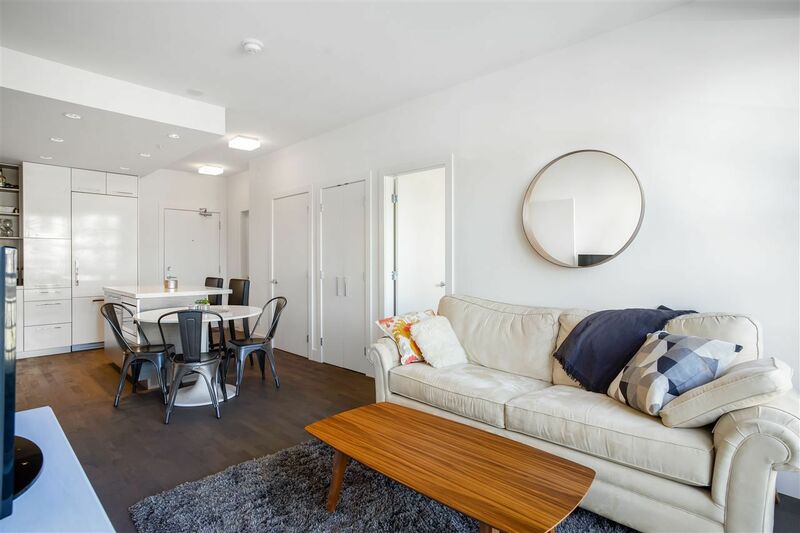 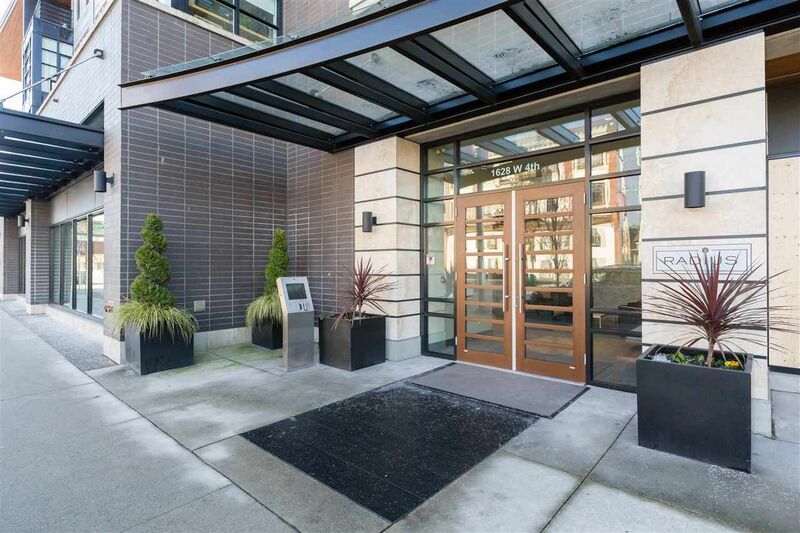 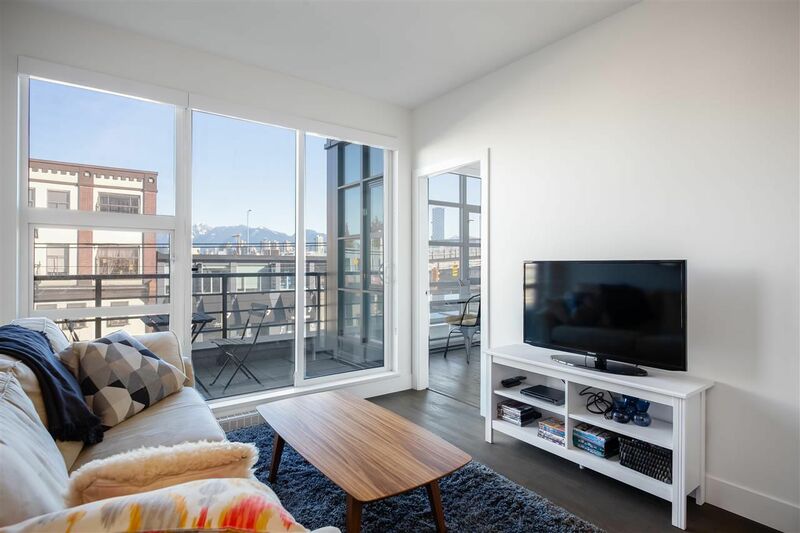 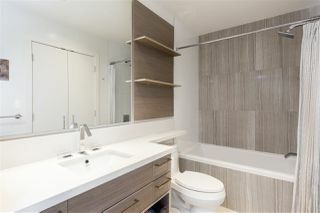 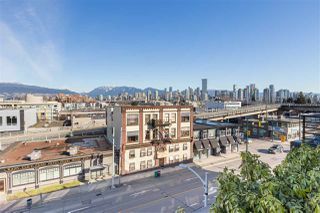 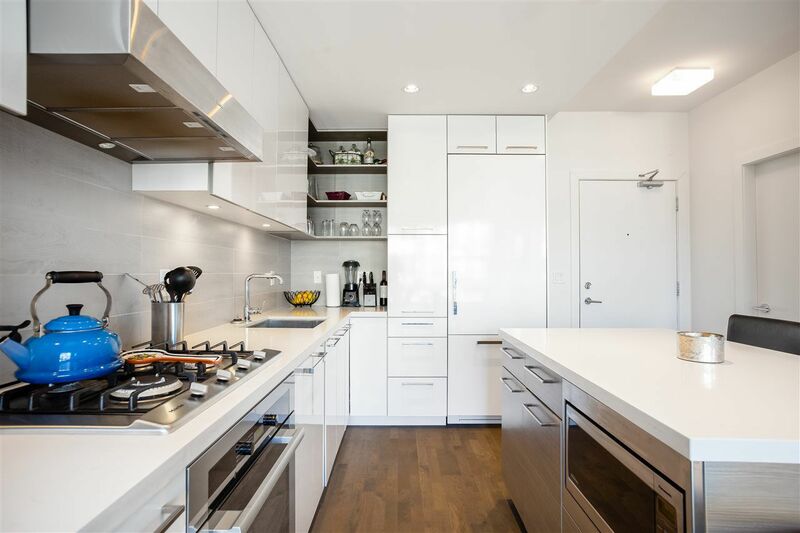 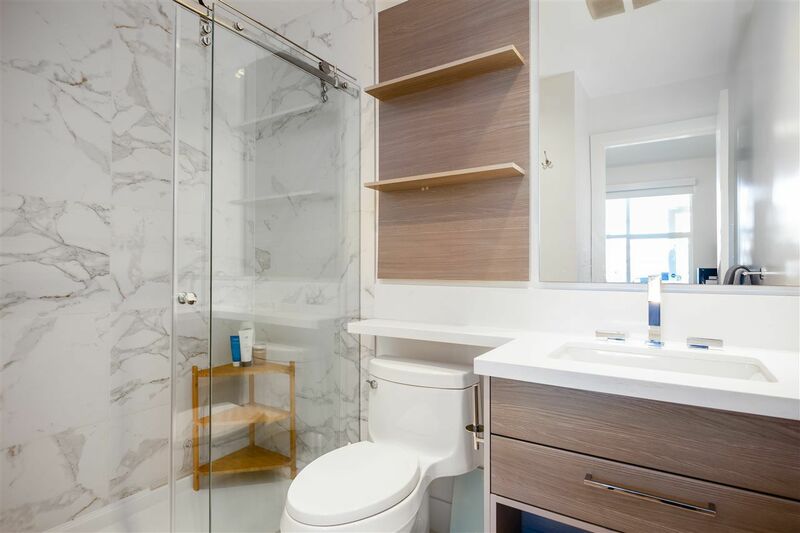 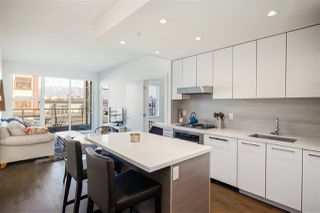 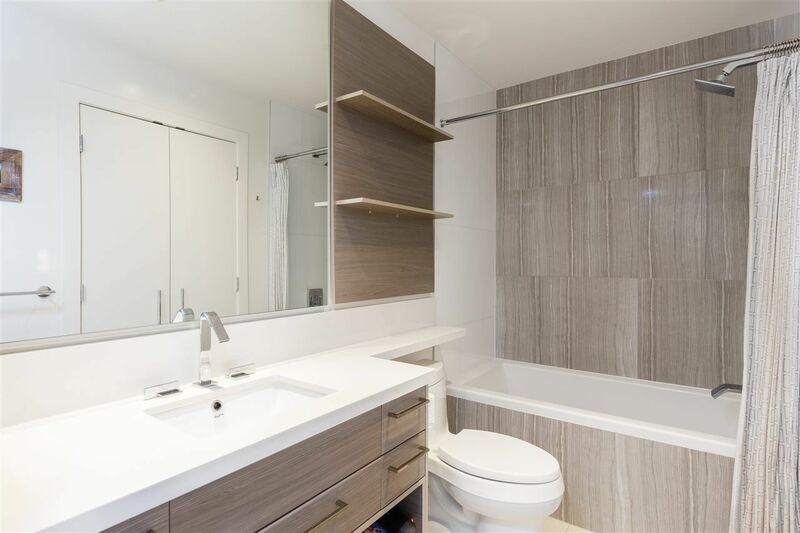 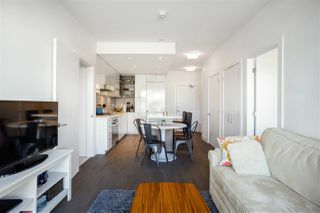 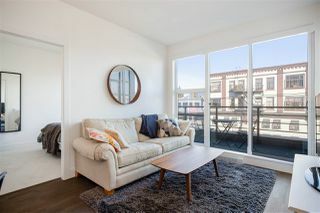 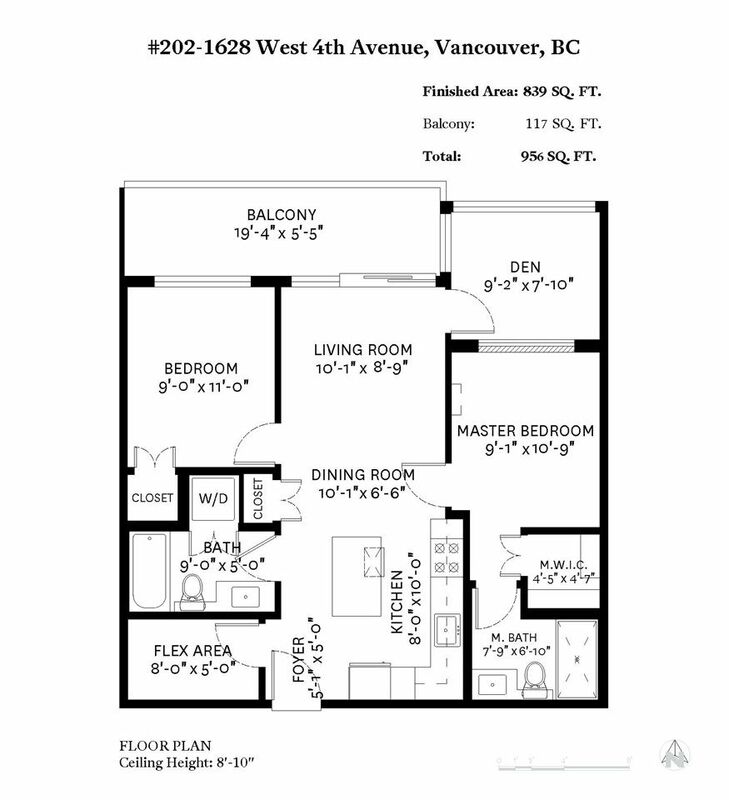 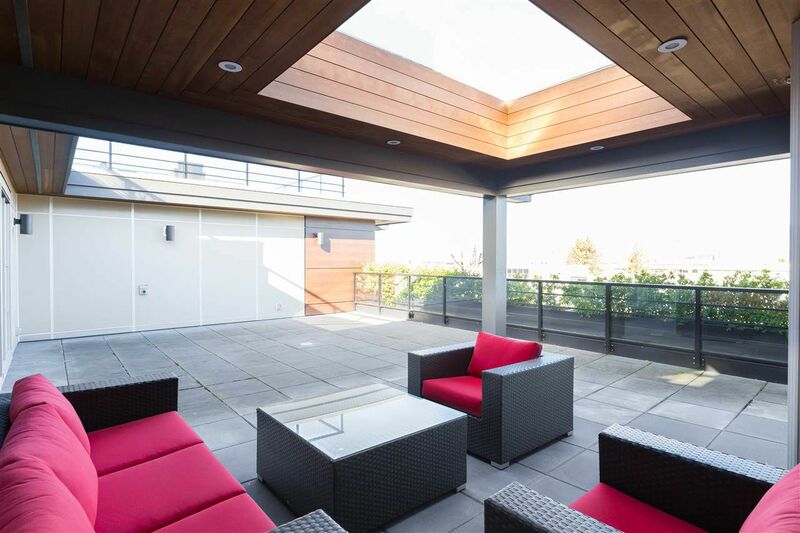 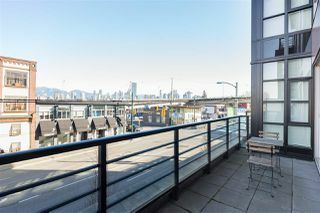 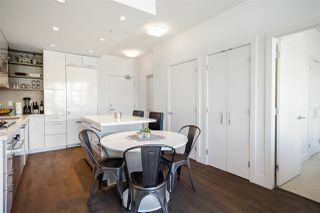 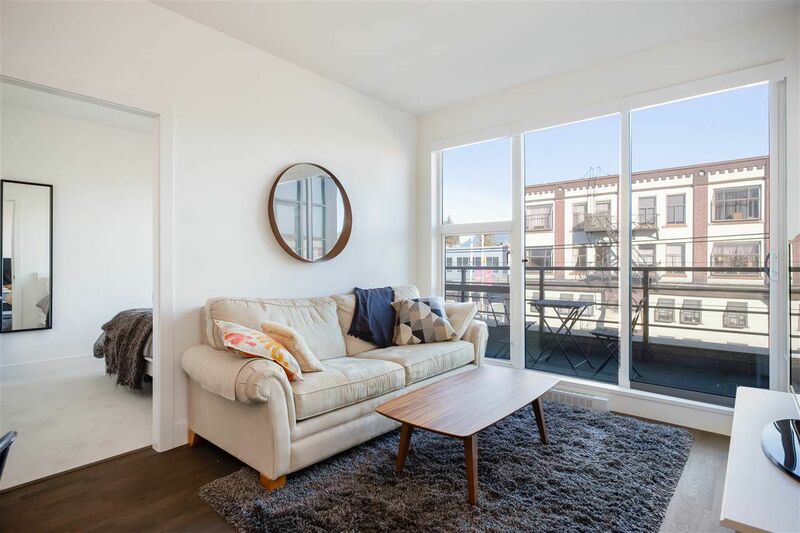 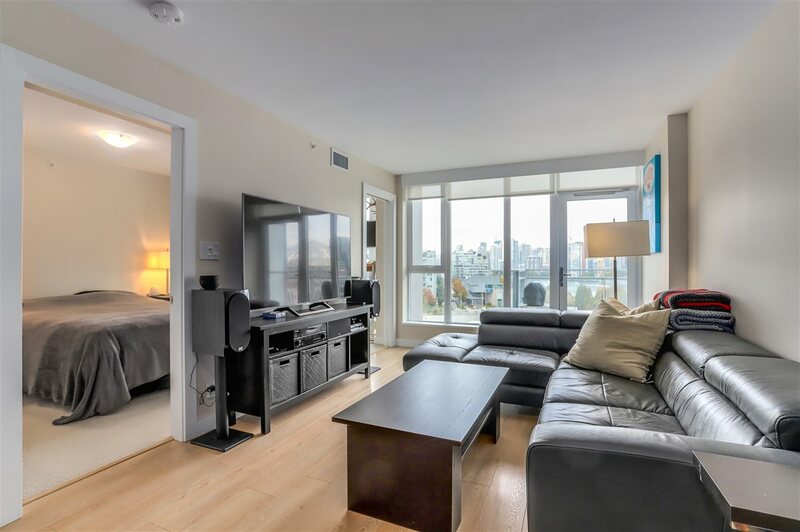 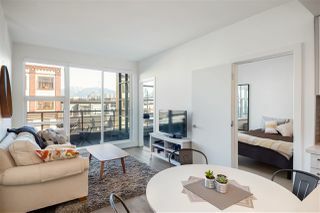 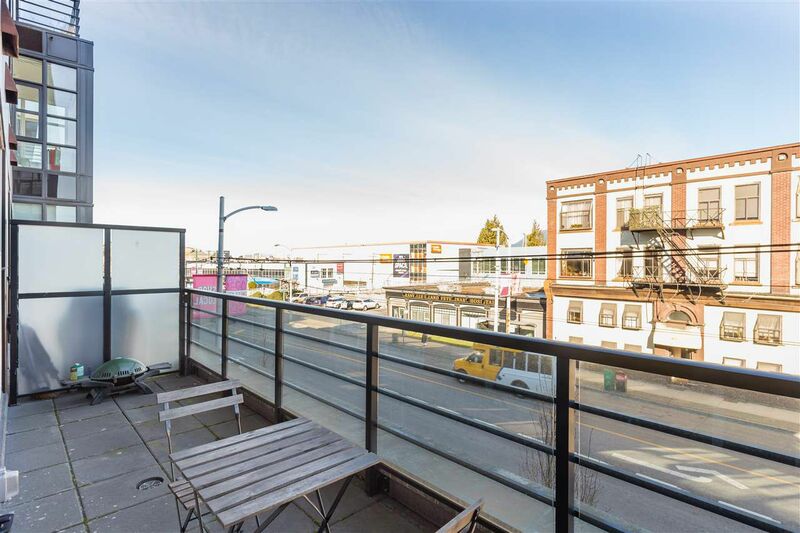 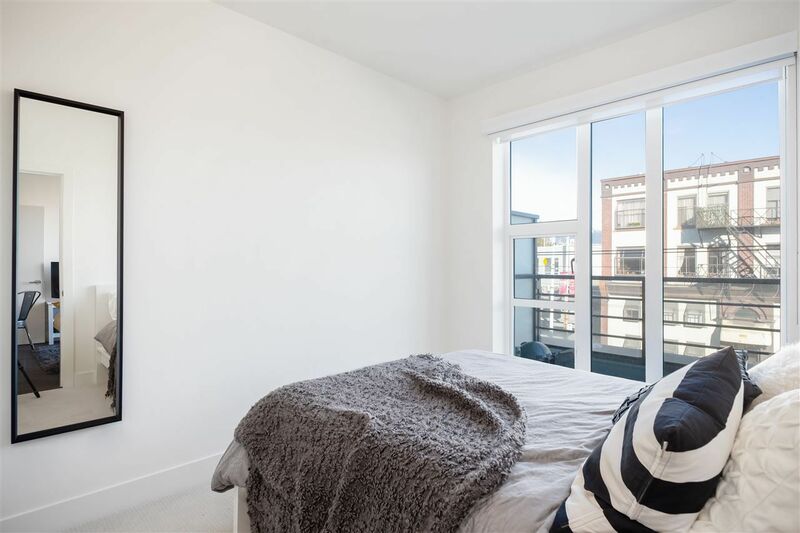 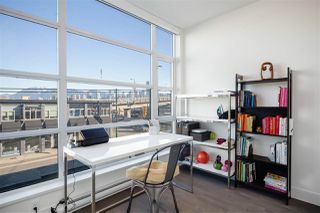 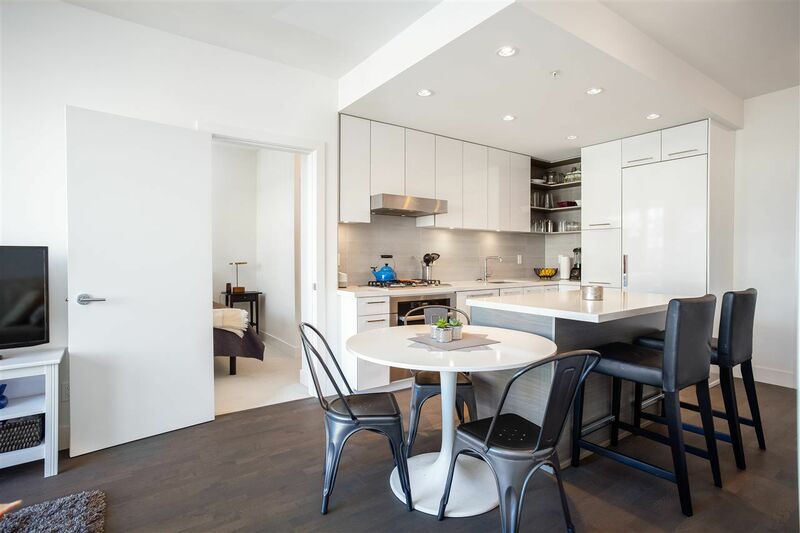 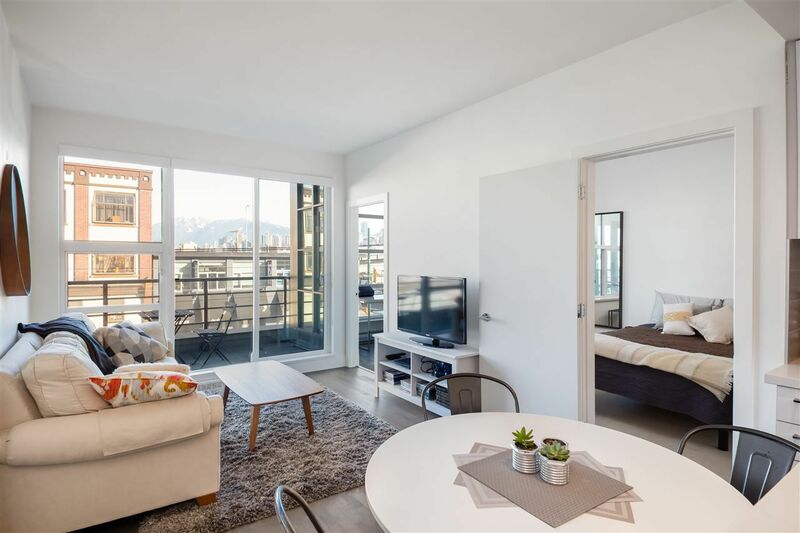 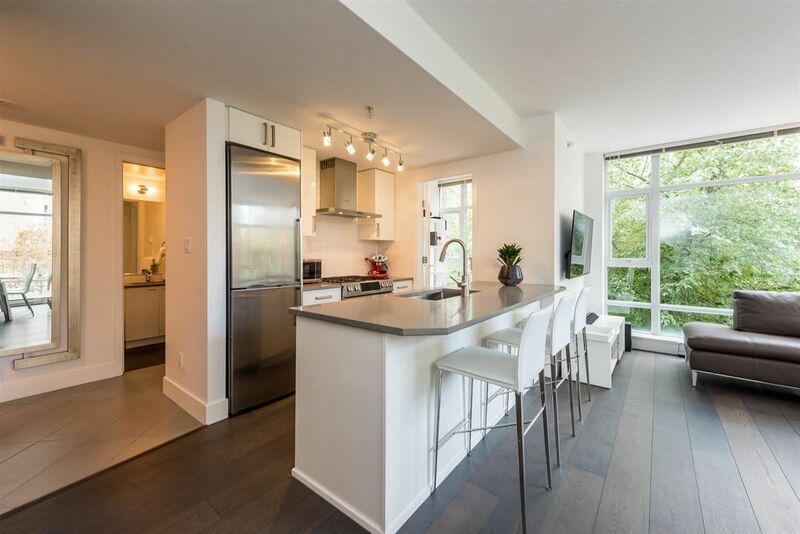 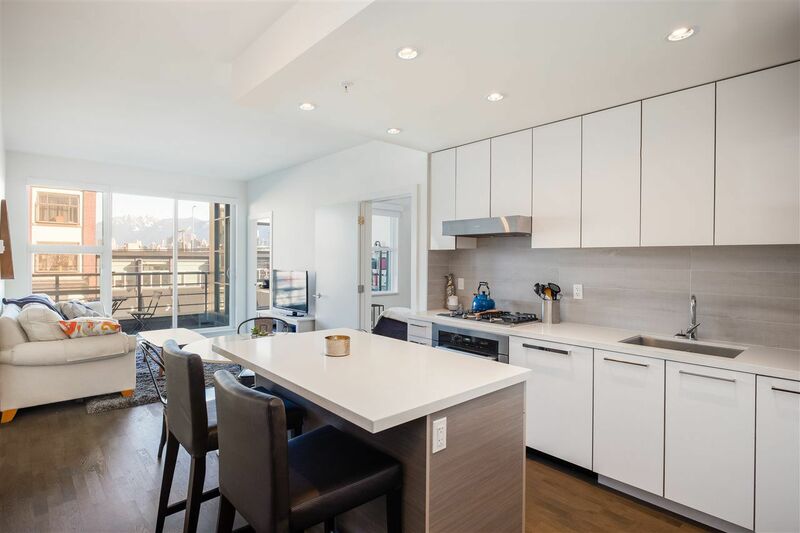 Offering a spacious 839sf layout with open kitchen featuring gourmet Miele s/s appliance package, bedrooms on opposite sides of the apartment for complete privacy, a bright den which is ideal for a home office and a large patio that boasts views of DT Vancouver and North Shore mountains. 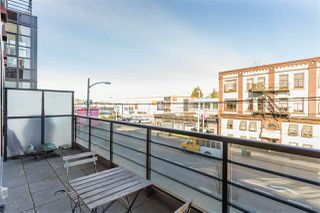 Situated in a well-run building that offers a common rooftop patio perfect for summer BBQs with your friends. Centrally located at the entrance of historic Granville Island, just steps to all of the great shops and restaurants that Kits' W 4th Avenue has to offer.